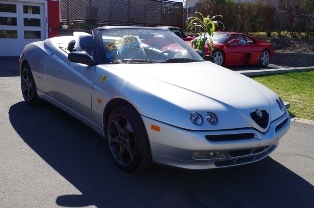 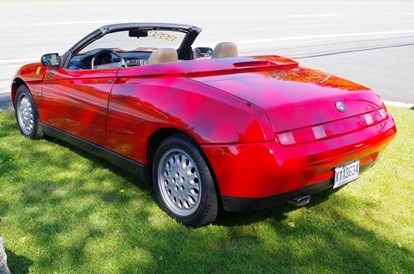 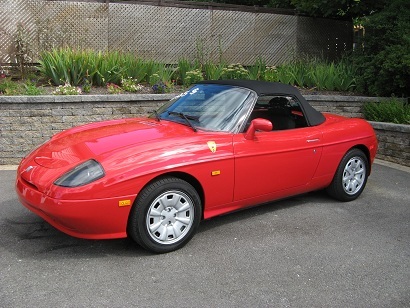 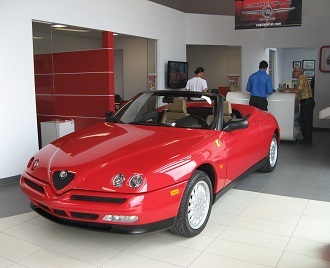 Beautiful italian car, red Alfa Romeo spider with tan leather interior. 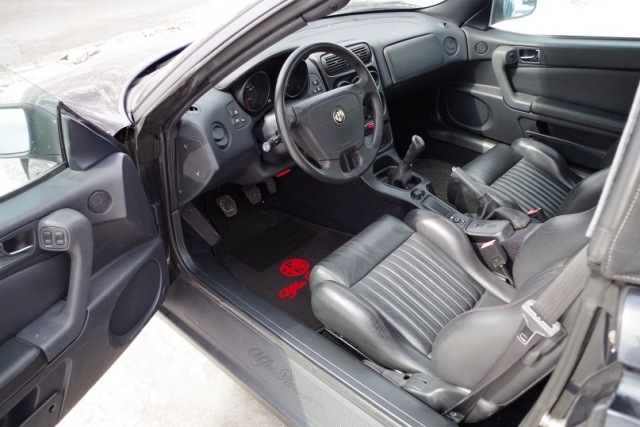 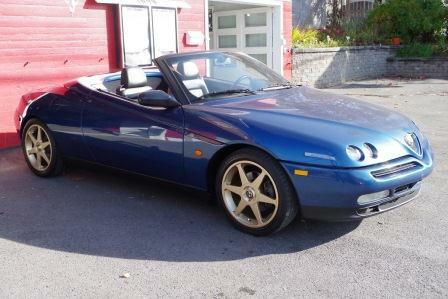 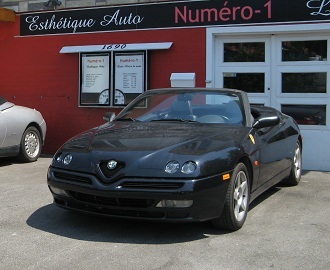 This Alfa Romeo spider have a low mileage and an exceptionnal brand new condition, black leather interior, 4C (Cinlindro) Alfa Romeo engine. 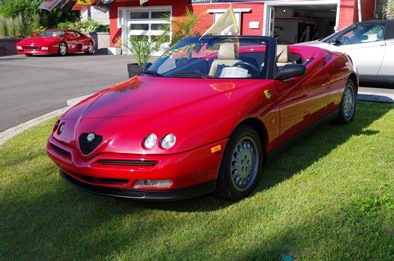 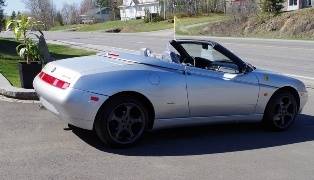 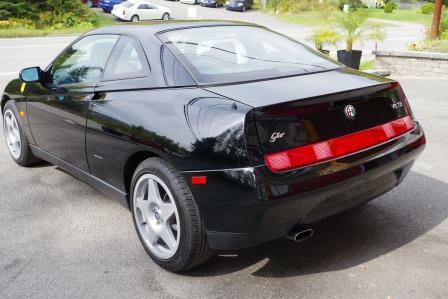 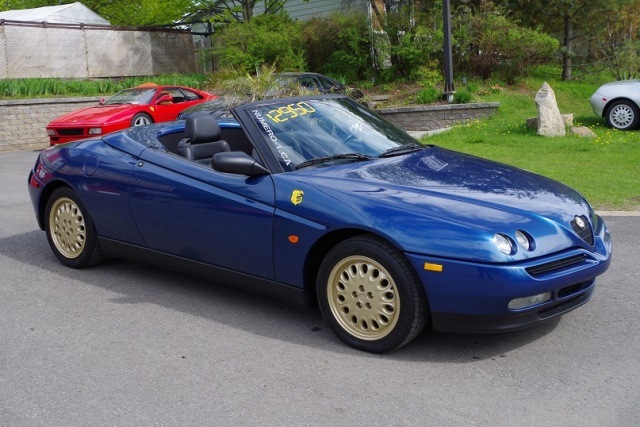 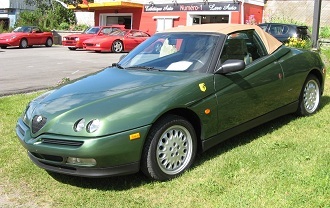 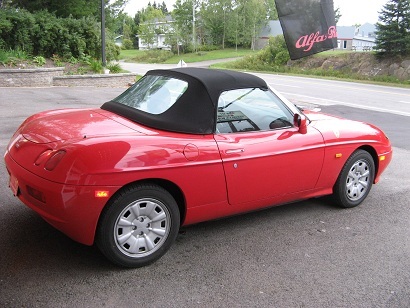 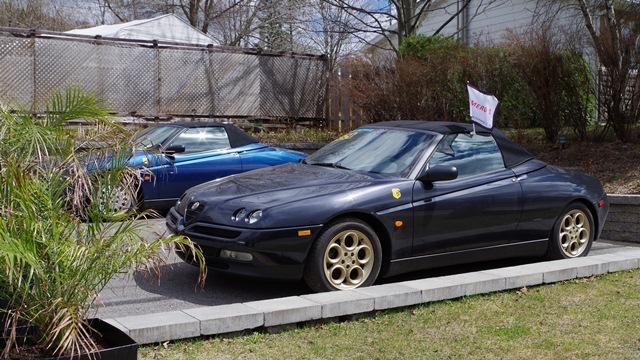 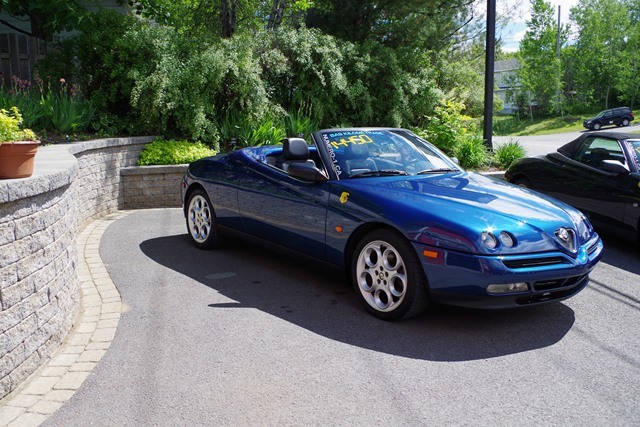 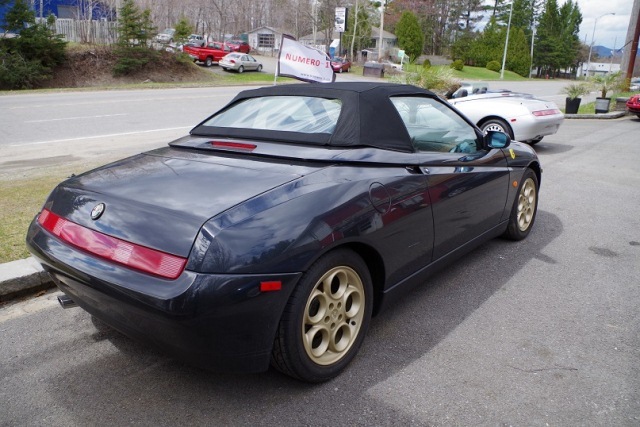 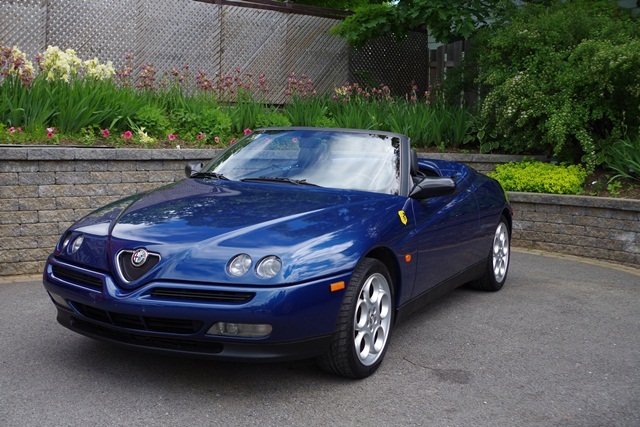 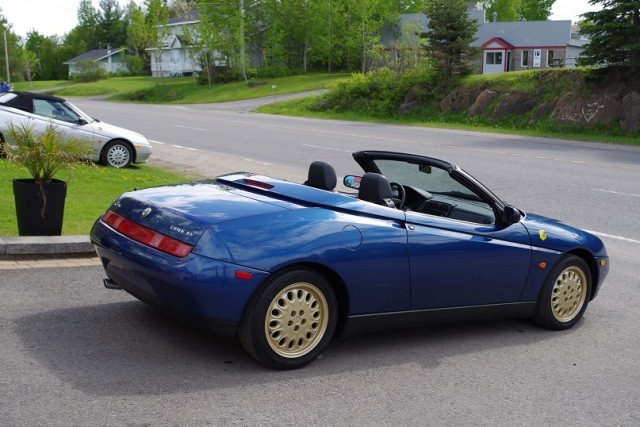 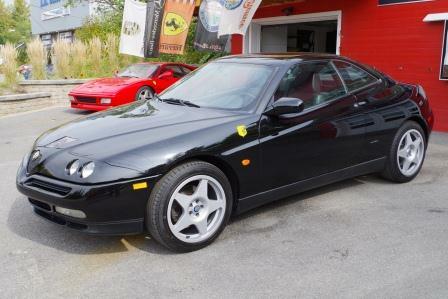 The new owner of that car joined the Scuderia Alfa Romeo Quebec club in Canada. 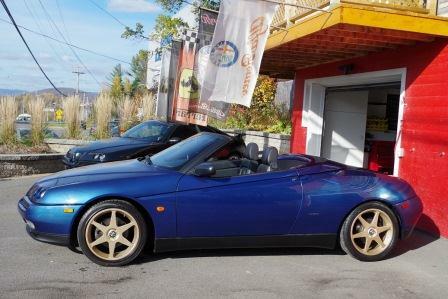 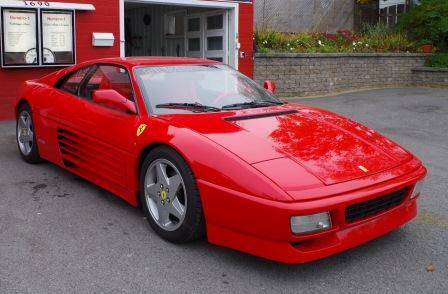 Another beautiful spider with very special golden wheels, that car have an excellent lowered suspension set up and drive train. 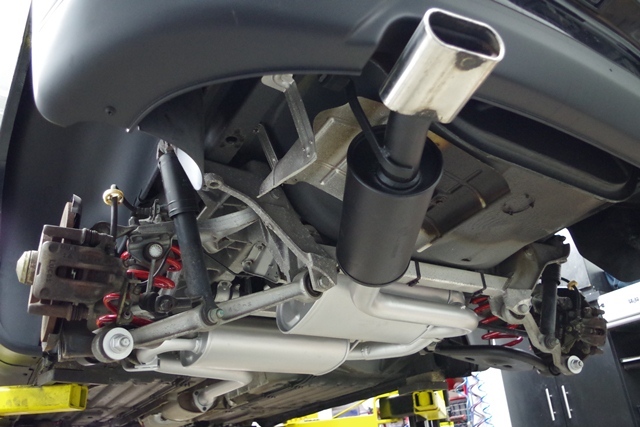 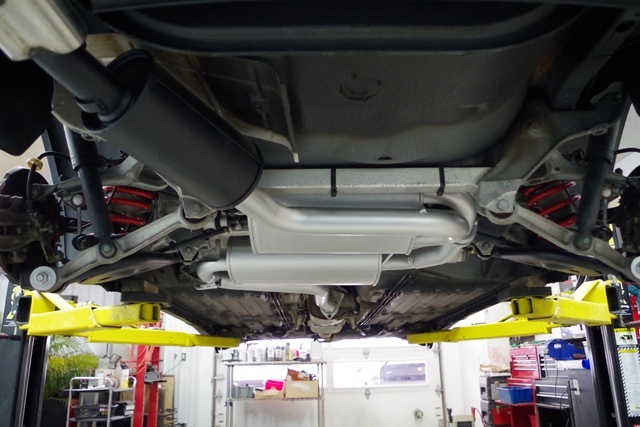 Race attitude drive and magic sound with his complete stainless steel exaust pipe. 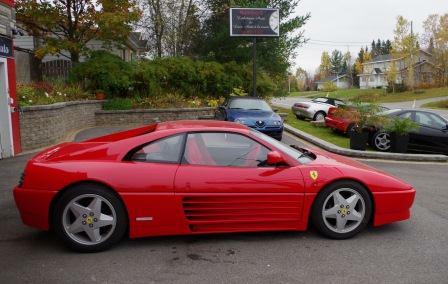 The owner his absolutely in love with his car. 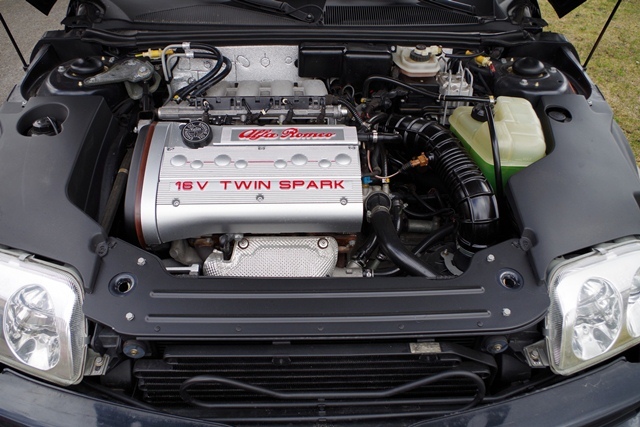 Powered by the 2.0L 4 Cilindro Alfa engine. 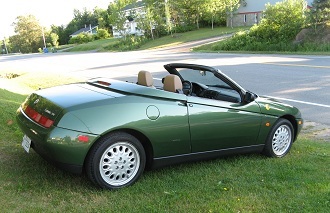 Nice Alfa Romeo convertible with rare green color, tan top soft, Alfa Romeo 4C engine, tan leather interior, beautiful car. 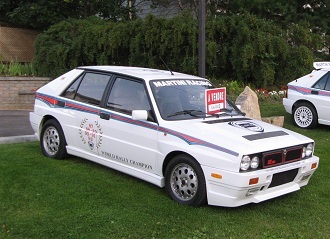 126,000 km - Moteur 2.0l 8v Turbo Integrale - La légende des Rallyes. 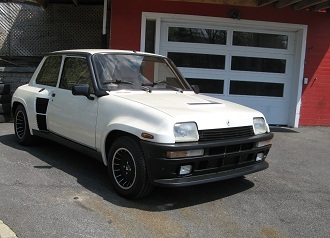 Stripes Martini 6 en Hommage aux 6 titres de champion du monde.